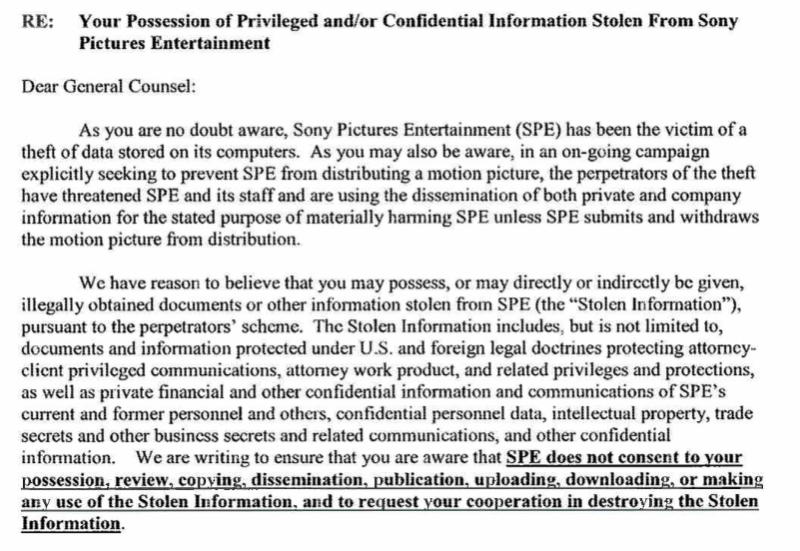 With gigabytes of revealing (and often embarrassing) internal documents spread across the internet by anonymous hackers, Sony is finally taking a public stand and threatening publications that have reported on the breach. As of now, Gawker has received no such letter, and will continue to report on the breach. Update: Gawker has now received the legal notice from Sony, and will continue to report on the breach.